One of the best things about having a beautifully landscaped yard or garden are the smells they help create. Yes, each individual flower or plant has a smell, but we’re talking more about the overall aroma. A well maintained and landscaped yard, with fresh cut grass, gives off this incredible fresh smell. It’s a smell that tells your brain that everything is new and that everything is in the perfect place. 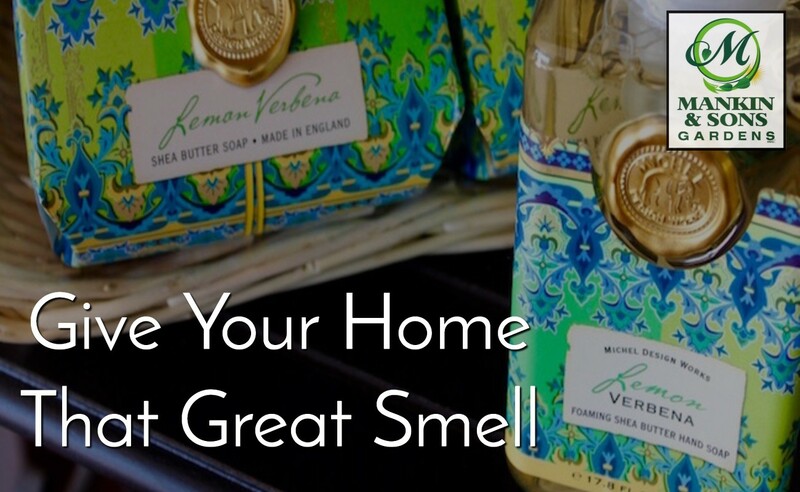 Wouldn’t it be great if you’re able to bring that fresh smell into your home? In our farmhouse décor retail shop, we offer a number of different items to help you. Whether you’re looking for that great fresh smell or something a little stronger these three items will give your home that great smell. When people think about keeping their home smelling great, candles are the first things they turn to. That is for good reason. Candles are an easy way creating an atmosphere within your home. Both the light in the scent they give off make your home feel cozy and inviting. At Mankin and Sons Gardens we have a great selection of Jazz Candles. These great smelling candles come in a variety of scents and sizes. Whether you need a small candle that smells like the outdoors, or you need a large candle that just has a fresh scent, our team can help you find what you need. Mankin and Sons Gardens is proud to offer Michel Design Works soaps and lotions. We love the stuff so much we even rode entire blog over what makes it’s so great… here. One the most important factors in making these products so amazing is that they’re all made what’s Shea butter. This gives these products incredibly rich texture. However, you can’t forget about the smell these products give off. These scents will bring the outdoors, indoor, in a hurry. 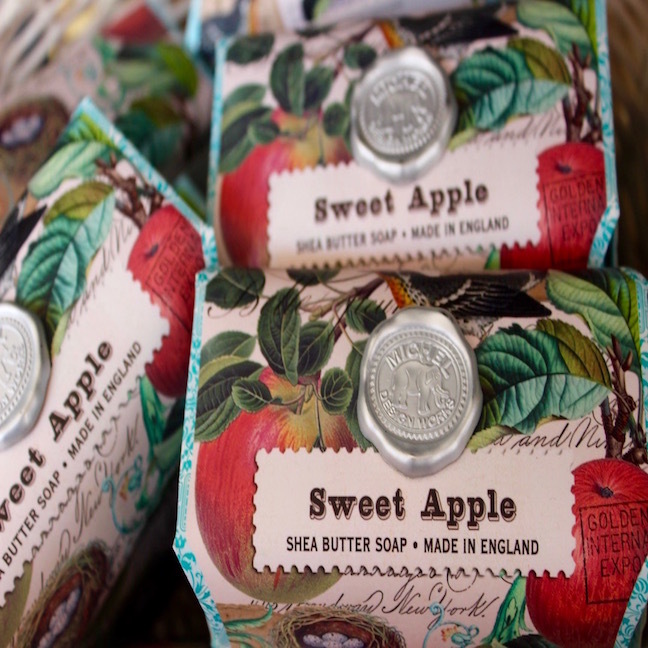 You can choose from sweet apple, Black cherry, botanical garden, lemon verbena, and many many more. Anytime you wash your hands or use lotion, you’ll think us… they give off that great smell. Let us start with this, this is not a joke. Poo-Pourri is a great product and we are sure you will agree. This little spray is used before you go to the bathroom. All you do is spray little, and it really helps keep your bathroom smelling fresh and odor free. We have many different scents for you to choose from, but the truth is the scent is of the least importance. What is most important is the lack of smell. Stop by today and check out the display at the checkout desk, you will be glad you did. Smells a powerful sense. It can take you back to a time or place, or take you somewhere you’ve never been. Whichever of these two you prefer, Mankin and Sons Gardens has the right products for your home to smell great. Labor Day is Here, Where Did Summer Go?